Taking that next step in your career often requires additional adult education and certifications, but making the time (and money) you need to earn those hours is tricky. Learning from the comfort of your own home is ideal, and you can pull it off with a lifetime subscription the Shaw Academy. This subscription grants you access to almost any course you’ll need to bump your resume to the top of HR’s pile. Interactive webinars and toolkits help you master topics like photography, health and wellness, finance, marketing, design, business, and more. All of the courses are led by industry experts. Once you’ve completed your courses, you’ll have Accredited Diplomas to add to your resume and LinkedIn profile. The Shaw Academy boasts 60 courses, and you’ll also have access to any future classes or updates that come your way. The breadth and depth of these classes mean that this investment will pay off in no time, and with 24/7 support for your webinars, you won’t miss a beat. 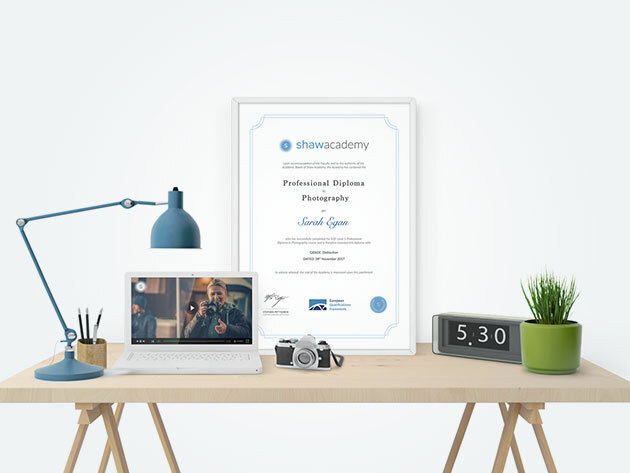 Usually, a lifetime subscription to the Shaw Academy’s courses would set you back $2,999, but you can dive into your next career interest right now for just $99 (96% off).